Helps Create a Sustainable Tomorrow. 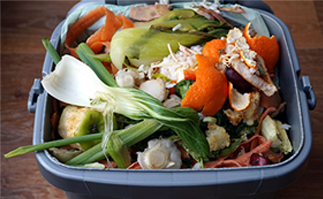 Natural Organic Process Enterprises (NOPE) works with companies and institutions throughout central and eastern Virginia to develop food scrap and organics recycling programs. 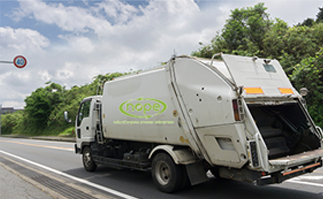 NOPE facilitates the collection and transportation of organic materials to a proper Virginia DEQ permitted composting facility. We know our actions impact our environment…today and well into the future. We consider our earth, environment and ecosystem a great gift and privilege. We also consider it our responsibility to take care of her such that our kids, grandkids and great-grandkids can flourish just like us. We believe our calling is to make a positive impact on our environment. We choose to be a part of the solution as opposed to part of the problem. Our company was created with the purpose of pioneering, in our community awareness and availability of services concerning composting/organic recycling. We seek to partner with like minded companies and institutions that are committed to integrate sustainability into their practices. Keeps a valuable resource (food scraps) from rotting in a landfill. Composting helps significantly reduce geen house gas emissions. 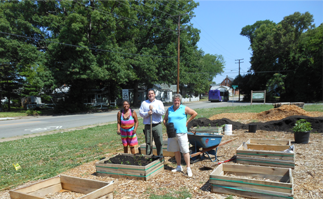 Our program helps fight food insecurity by providing healthy soil to provide healthy food. Scraps are taken to Dept. of Environmental Quality permitted facility. For almost a decade we've provided service to Central and Eastern VA.
We give your food scraps an important second life as opposed to rotting in a landfill." We partner with facilities throughout Central and Eastern VA to convert your food scraps and organics to rich local compost that can feed the land and people. We give some of the finished product back to the community. 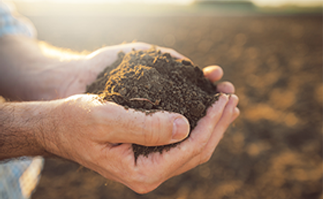 Compost is a natural soil amendment that is earth friendly and assists in growing organic crops.